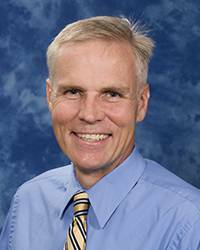 Bruce MacLeod, MD, FACEP, is an emergency medicine residency-trained, board-certified physician with more than 24 years of experience in Emergency Medicine. As part of his distinguished and unrelenting service to Emergency Medicine, Dr. MacLeod is also the Director of the AHN Emergency Group of West Penn and serves as President of Allegheny Health Network Emergency Medicine Management, the joint venture with AHN to provide Emergency Medicine services. He is also the Vice President of USACS Midwest. His talent and passion are crucial as he helps lead the growth of Allegheny Health Network Emergency Medicine Management. He brings with him significant academic and administrative experience. In 2013, Dr. MacLeod was elected president of the Pennsylvania Medical Society (PAMED). In addition, he was the former president of the Pennsylvania Chapter, American College of Emergency Physicians and has served as the Speaker for the American College of Emergency Physicians’ Council.